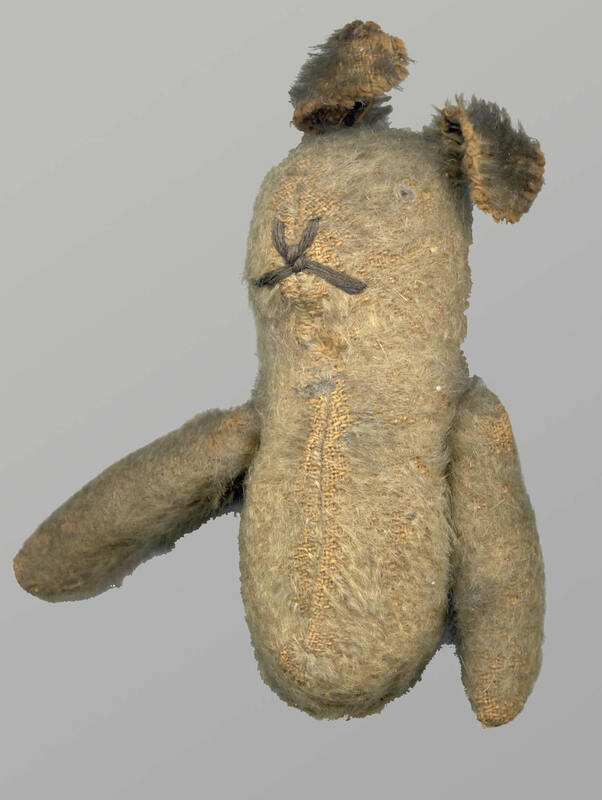 Ten-year-old Aileen Rogers gave this bear to her father, Lieutenant Lawrence Browning Rogers, before he left for war. The gift was meant as both a good luck charm and as a memento of home. Rogers, a lieutenant with the 5th Canadian Mounted Rifles, was killed by enemy fire at Passchendaele in 1917, as he tended to a wounded soldier. This bear was found in Rogers' pocket and returned home to his family.